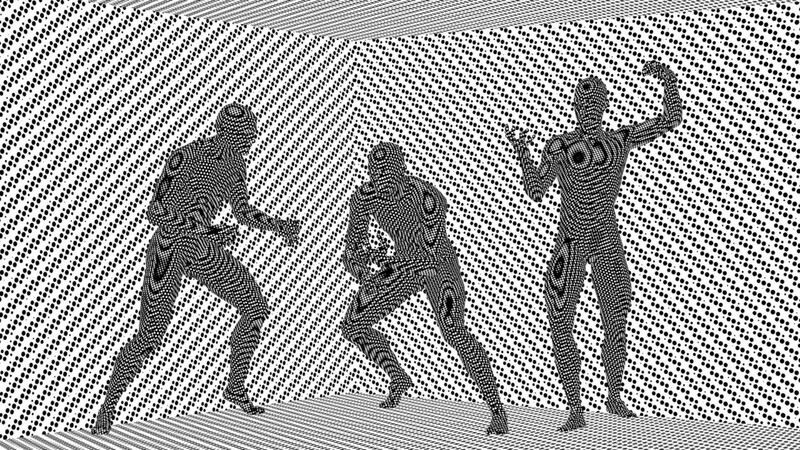 Latest WIP, more alternate “2001 A Space Odyssey” designs. 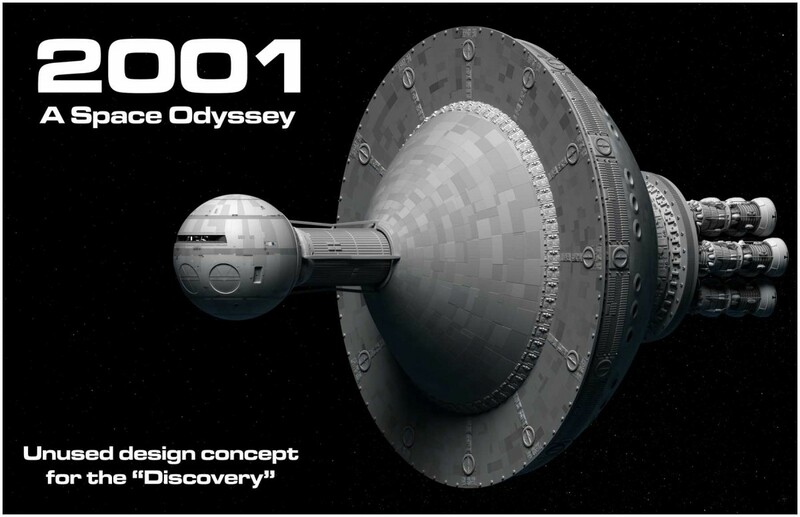 Now working on alternate unused designs for the 2001 Discovery, of which there were many. This one is fairly close to the finished version, but had added tension cables (helpful), and large cooling vanes (essential). The vanes can tip – this would presumably be so they can stay edge on to the Sun, to avoid overheating. 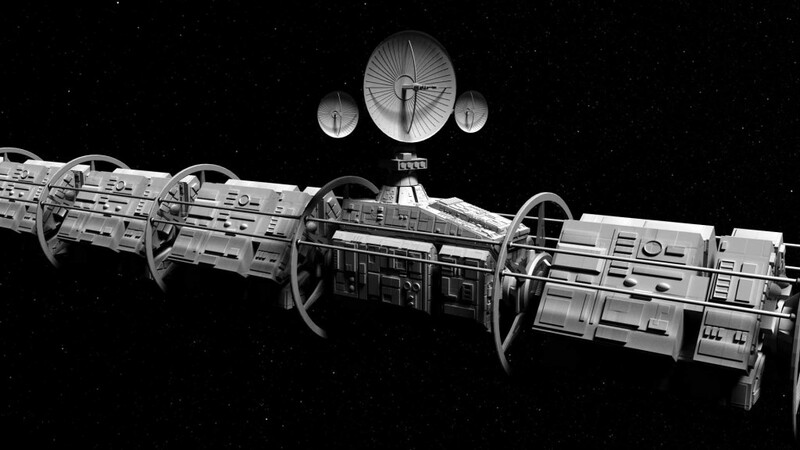 Credible design for the craft like “Discovery” in “2001, A Space Odyssey” was considered very important, but the cooling vanes looked too much like wings, and were therefore dropped. 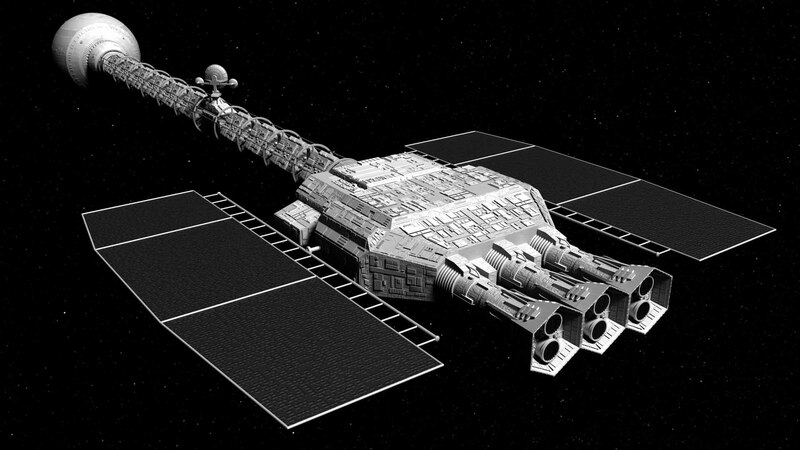 Author adminPosted on January 6, 2016 August 30, 2016 Format ImageCategories Lightwave 3d, Science Fiction, Science Fiction CraftTags 2001, discovery, kubric, odyssey, space, wip6 Comments on Latest WIP, more alternate “2001 A Space Odyssey” designs. Her’s my take on an unused concept for the Aliens in “2001”, as found in the excellent book by Piers Bizony.